C’est magnifique! 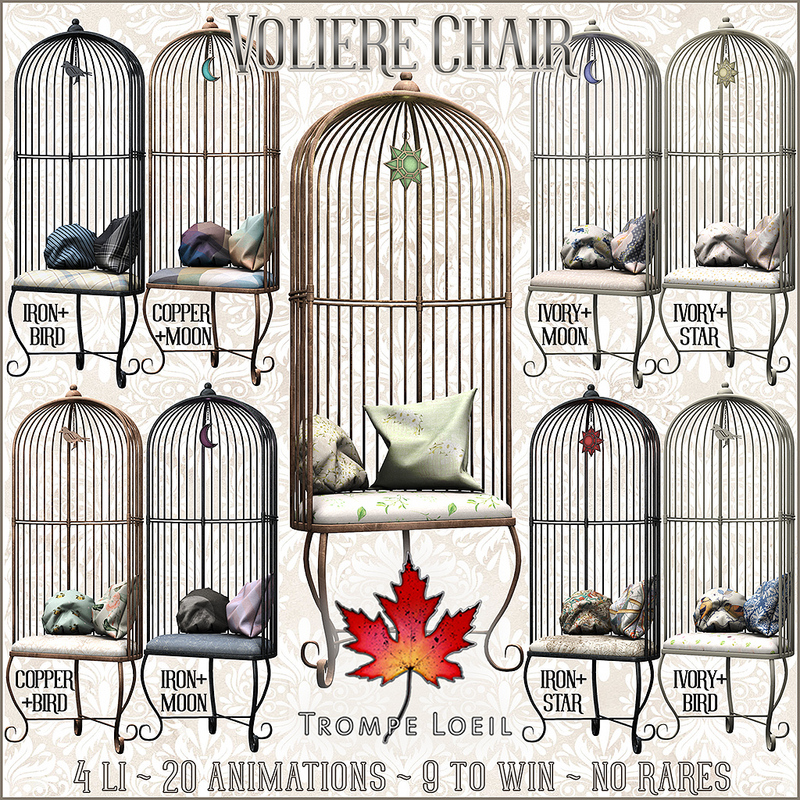 The Arcade’s June round features Trompe Loeil’s new Voliere Chairs Gacha – 9 beautiful birdcage-style chairs with bird, star, and moon dangles atop! A selection of metal finishes (copper, iron, and painted ivory) and coordinating fabric patterns round out the selections. 9 to win, and as always, no rares! Only at The Arcade starting June 1!